There’s Something About a Magpie! While a number of ITM Cup unions are struggling and NZRU chief Steve Tew bemoans the fact that only a couple of provincial unions are making more money from ITM Cup gate receipts than they are from the NZRU’s financial support one union has been flying high this season and it’s done so on black and white striped wings – the Hawke’s Bay Magpies! I wrote a while ago that the higher level elements of rugby in New Zealand have become all about the money and not the mana. The difference between the community-based, “grass roots” HB Magpies winning back the Ranfurly Shield and the “corporate brand” known as the All Blacks hitting Napier at the same time in September was quite noticeable. With high ticket prices and sponsors’ endorsements to fulfil, the All Blacks seemed a bit distant. The Magpies, by comparison, paraded the ‘Shield across the bay, let the public have photos with it – the whole nine yards. It instilled a level of provincial pride not seen for some time in Hawke’s Bay and a sense that the public were truly part of the team. The Magpies have gone on to defend the shield and we will now hold it through the summer into next season. 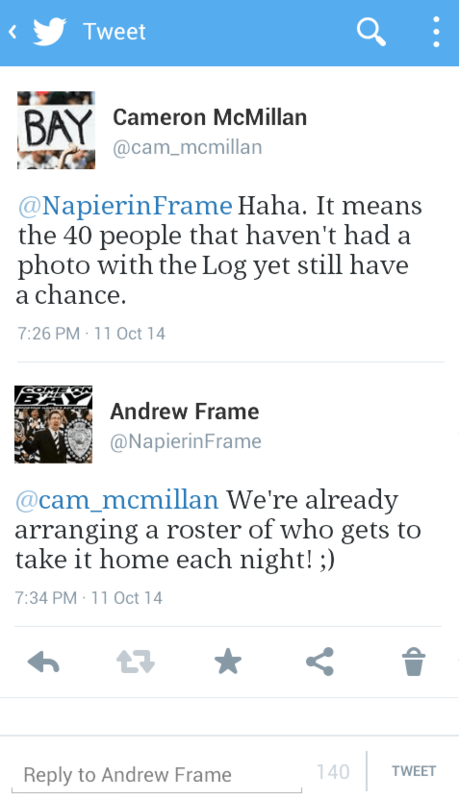 As holders of the Ranfurly Shield, Hawke’s Bay has contracted “Magpie Fever”! Wherever you go, there is black and white bunting. Ranfurly Shield pictures abound (sometimes it’s actually the genuine item). HB Magpies flags flutter from passing cars and there are more Hawke’s Bay Rugby jerseys being worn around town than I have ever seen before – Kooga must be making an absolute fortune! The other organisation reaping the rewards is the Hawke’s Bay Rugby Union, who are expecting to make an almost million dollar profit from their extremely successful season. HBRFU commercial and marketing manager Jay Campbell announced this week that tickets for all covered seating at McLean Park (the Harris, Graeme Lowe, Rodney Green and Chapman stands) when the Magpies take on Northland in the ITM Cup Quarterfinal this Friday night will be almost half price – a mere $17.50 (equivalent Ranfurly Shield match tickets cost $32.50). Another crowd of 12,000 at Friday’s game would mean around 75,000 people had been to McLean Park to watch the Magpies and All Blacks this season – An attendance record well in excess of anything since the Magpies’ legendary 1966-69 Ranfurly Shield reign. HBRFU hoped to attract the crowd straight from work on Friday, opening the gates at 5.30pm and entertainment would include a band and children’s face-painting (mainly in black-and-white, of course!). “This is all to thank the sponsors, the families, the public for what has been a truly remarkable six weeks of rugby in Hawke’s Bay,” Jay said. 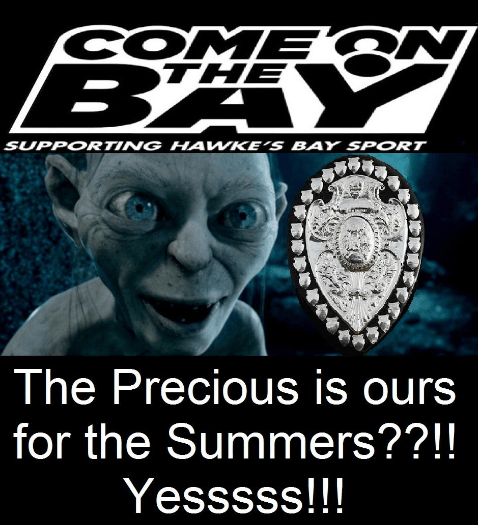 This is an awesome result for not only the HBRFU, its players and management, but the whole Hawke’s Bay region. It proves what determination, passion and loyalty can produce. All of Hawke’s Bay benefits as a result! PS: The All Blacks, meanwhile, went on to break their record winning streak with a loss to South Africa and their commercial partner Air NZ TRIPLED the cost of airfares to Samoa for the week of the ABs first ever test there. Sigh! 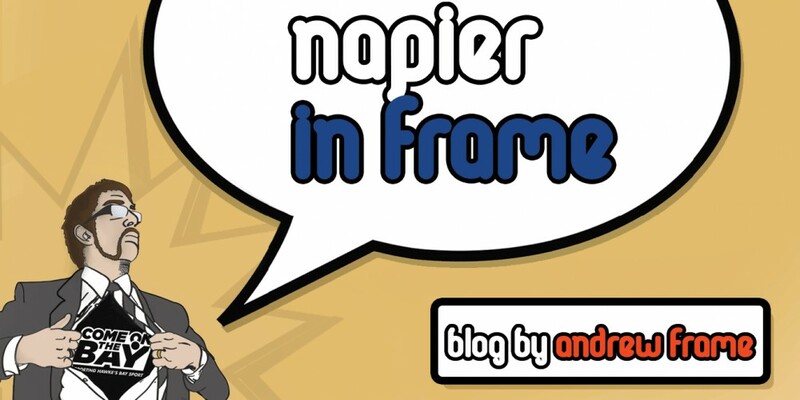 This entry was posted in Hawke's Bay, Media, Opinion, Sport, Writing and tagged Hawke's Bay, Media, Napier, Opinion, Twitter, Writing by Andrew Frame. Bookmark the permalink.